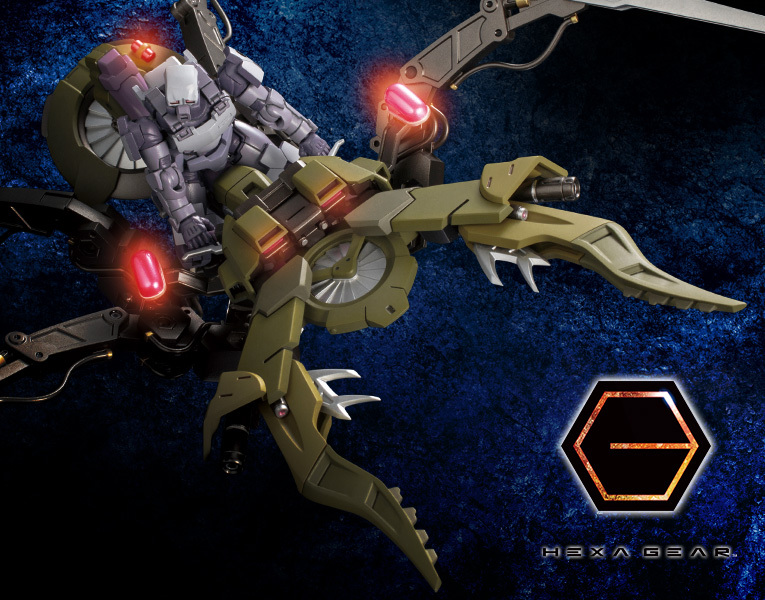 Motor Punisher is the latest Aerial Hexa Gear designed for light combat by Earthcline Biomechanics. 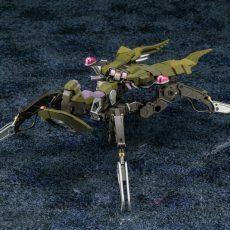 The model’s design favors sustained flight distance and time, making it suitable for security and surveillance missions. 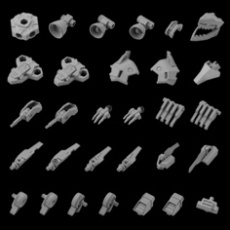 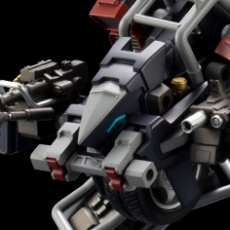 The construction of the base frame is similar to Blockbuster and uses many of the same parts, but the upper part of the model has been entirely redesigned to suit the intended purpose of the machine. 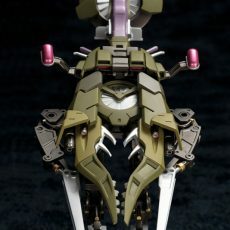 One of Motor Punisher’s most unique features is the rotary blade levitation devices installed on the front and back of the model. 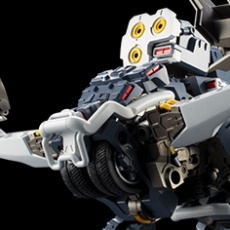 This feature allows Motor Punisher to hover in the air, transition smoothly between vertical and lateral movement, and allows it to land, take off, and navigate cramped urban environments with ease. 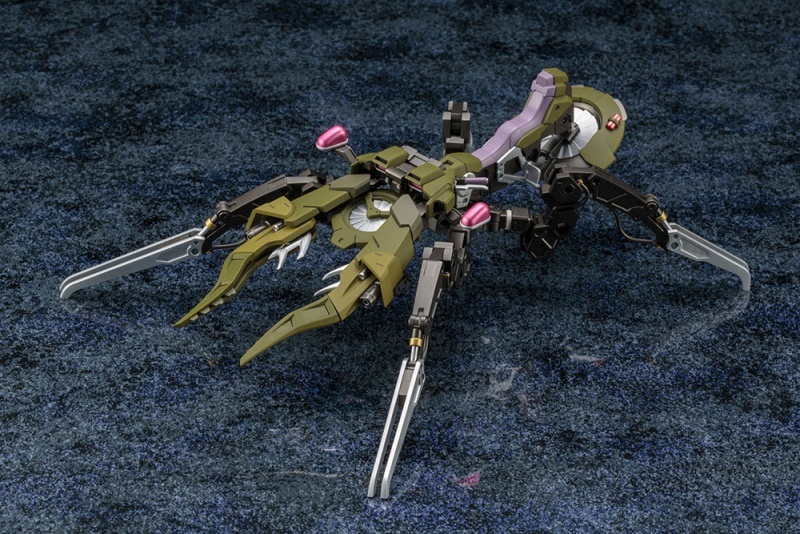 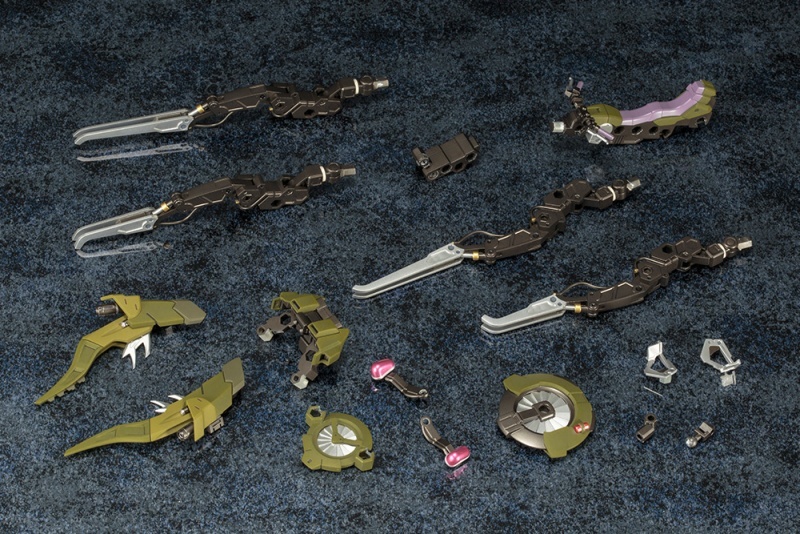 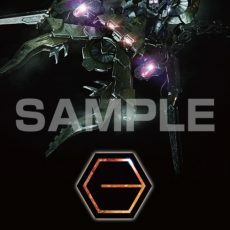 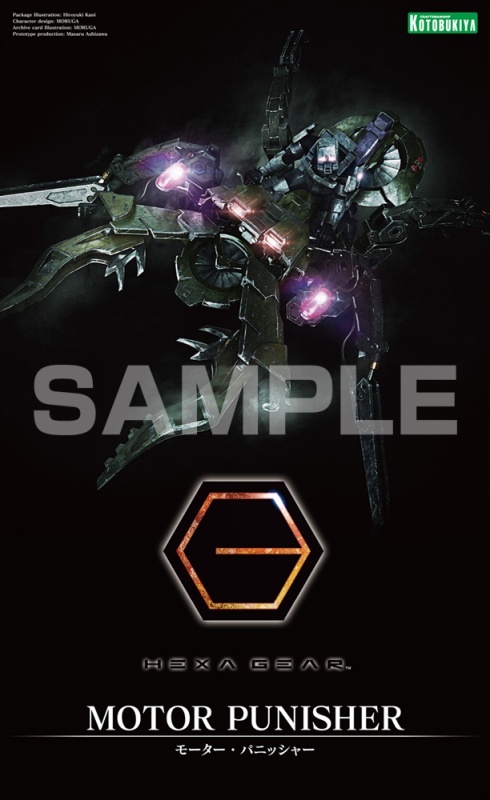 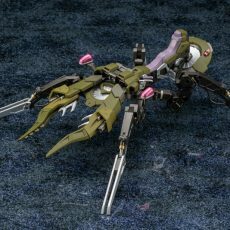 The unit’s main weapon is a large set of crushing mandibles known as “Biting Scissors.” The Biting Scissors can be used to crush enemy Hexa Gear, causing them to drop their Hexa G-R.A.Ms. 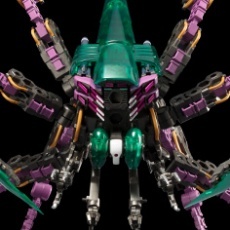 This allows Motor Punisher to neutralize foes with brute force rather than firepower. 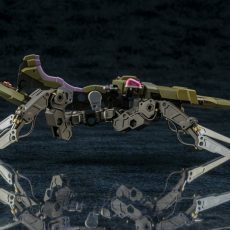 With parts that can be dismantled and reinstalled to other units in an endless number of combinations on the battlefield, Motor Punisher is a combat Hexa Gear that has exceeded the expectations of its designers in terms of strength and utility. 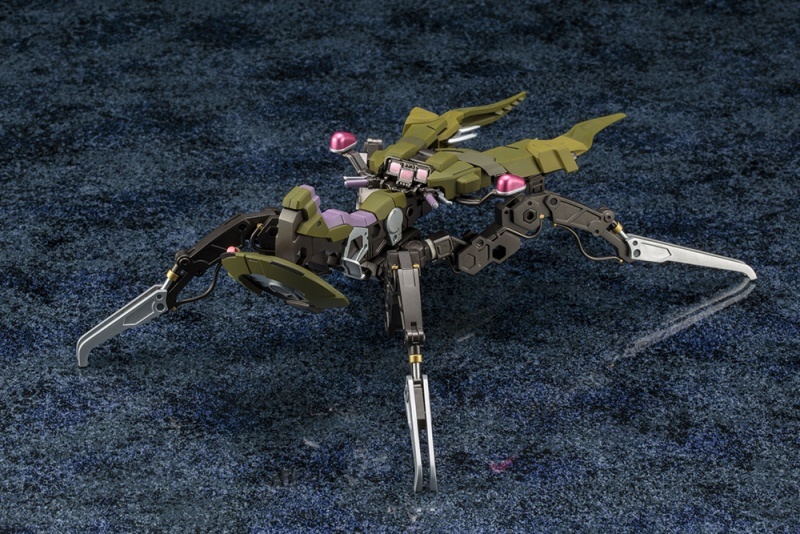 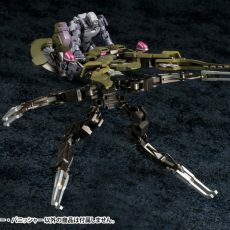 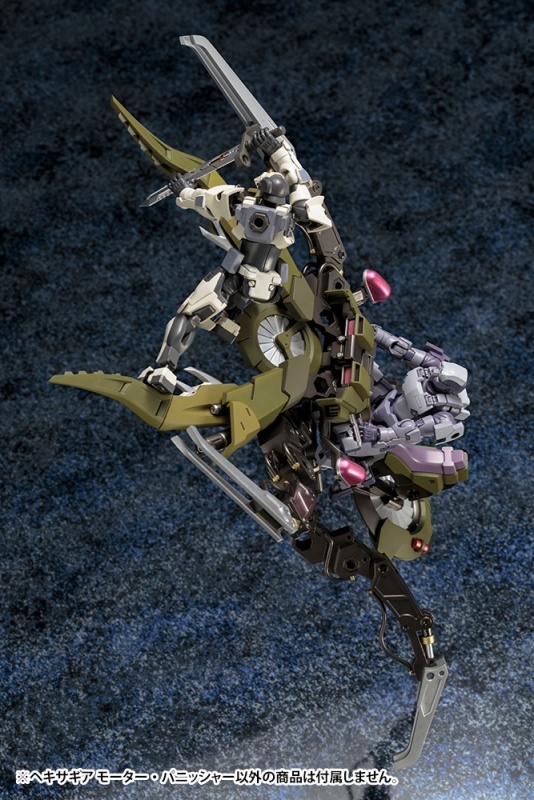 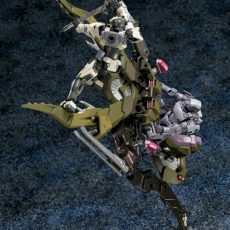 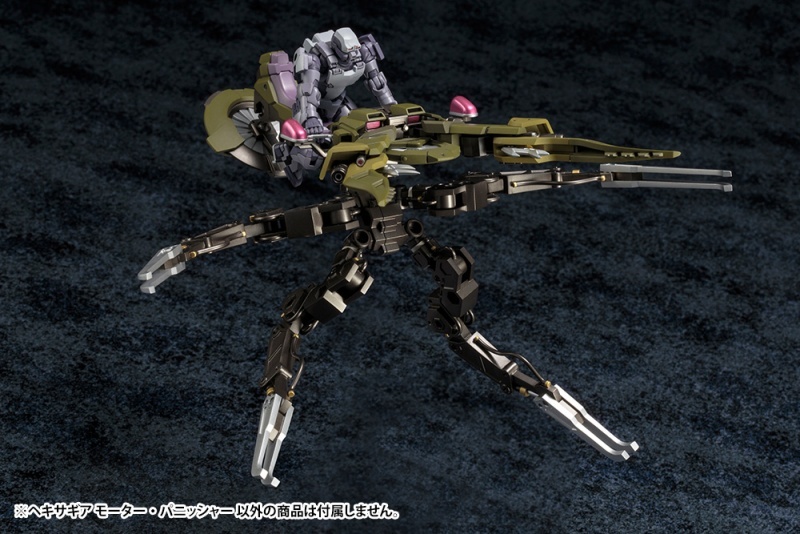 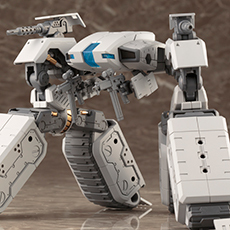 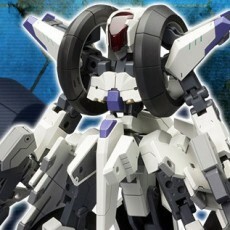 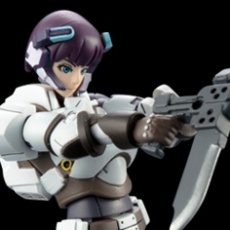 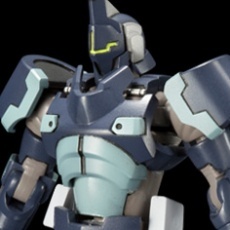 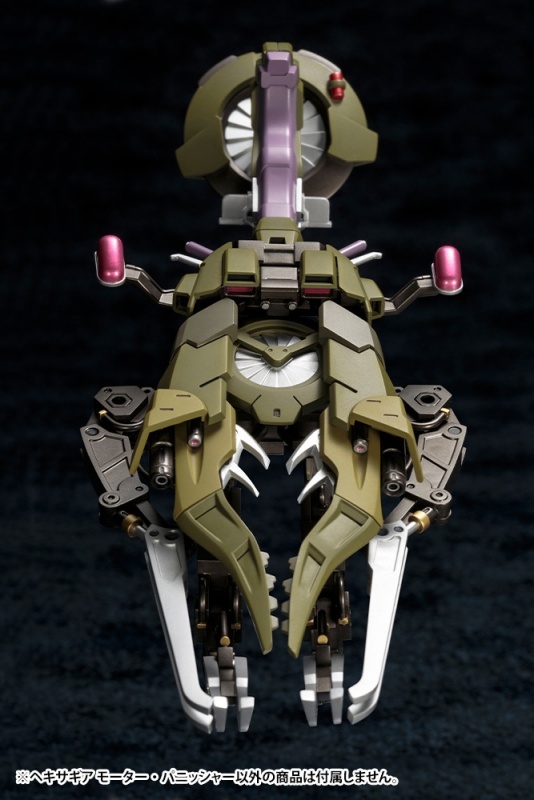 ・The model can convert between the combat-oriented Zoatex Mode and Assault Mode. 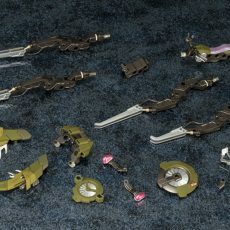 ・The Biting Scissors have three points of articulation. 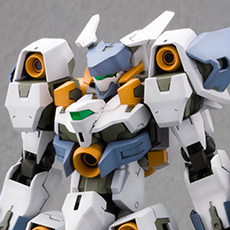 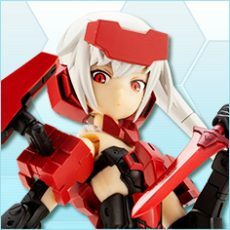 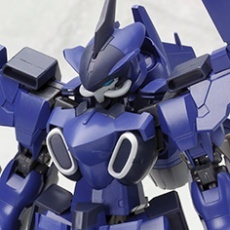 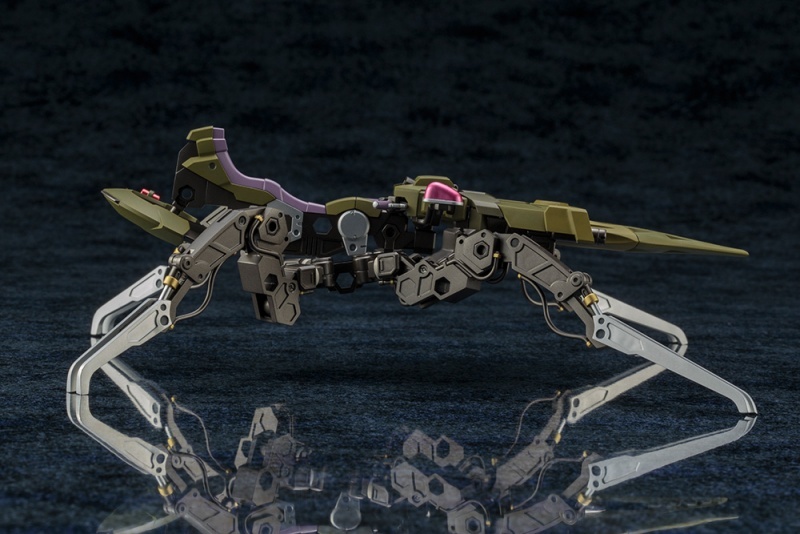 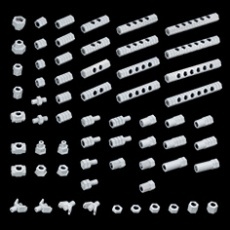 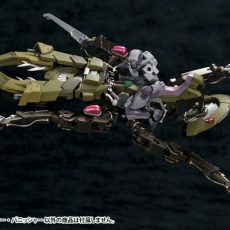 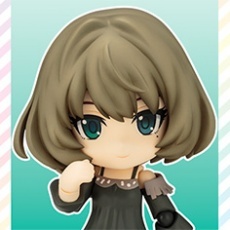 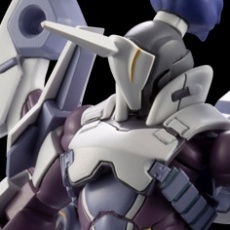 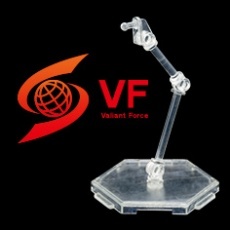 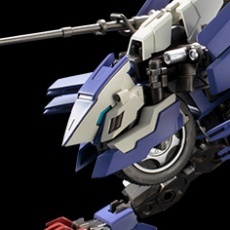 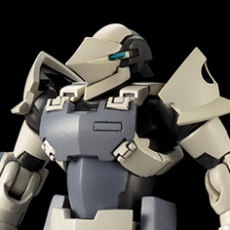 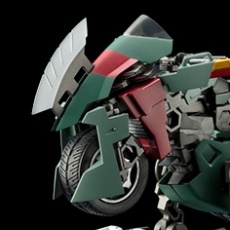 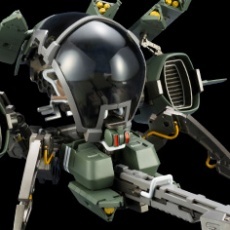 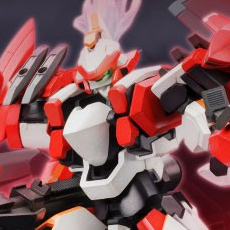 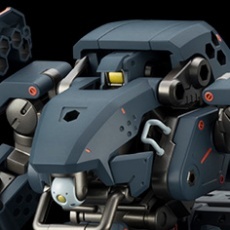 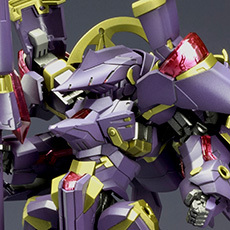 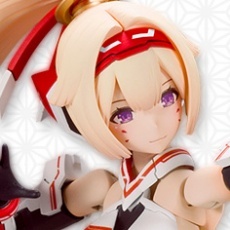 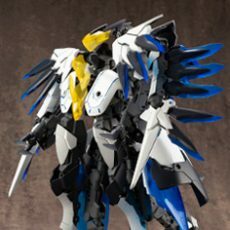 ・Each of the joint units on the frame is equipped with 3 mm or 5 mm connection points, allowing for easy customization. 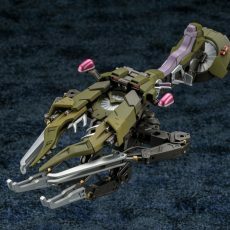 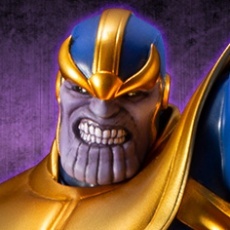 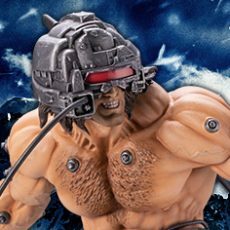 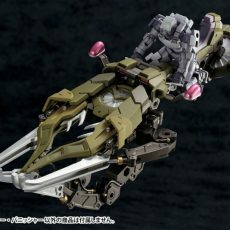 ・The model comes with a highly detailed cockpit unit that is compatible with separately sold Governor models. 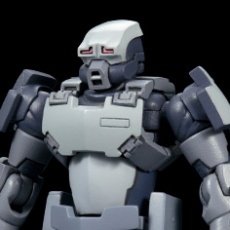 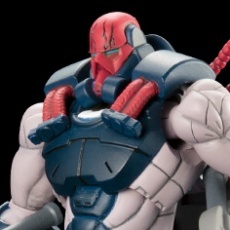 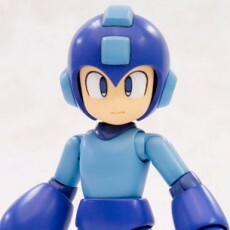 ・The model is made of a variety of materials, including ABS, PE, POM, and PS. 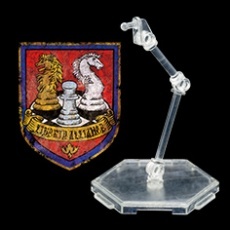 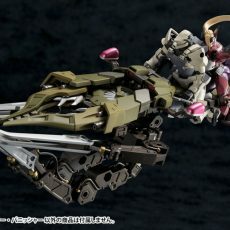 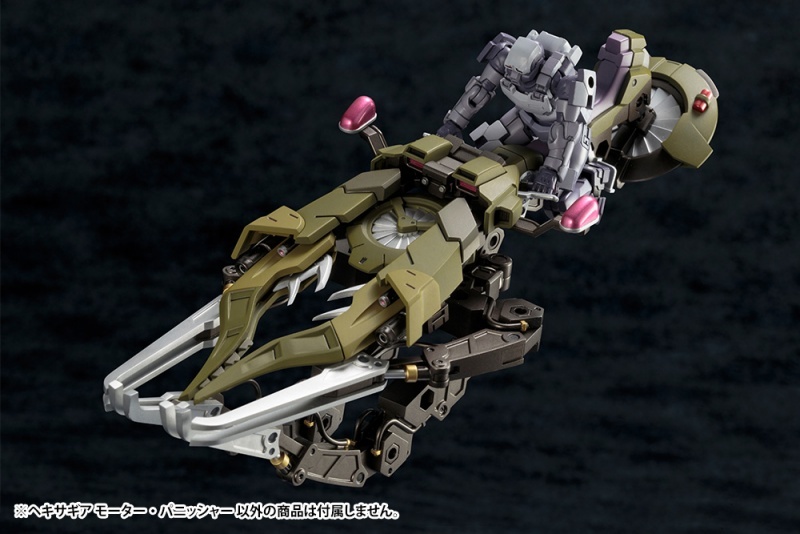 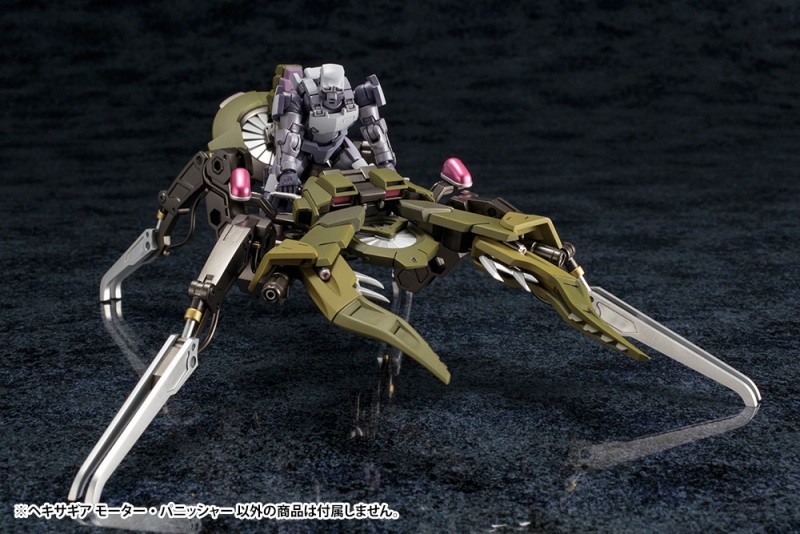 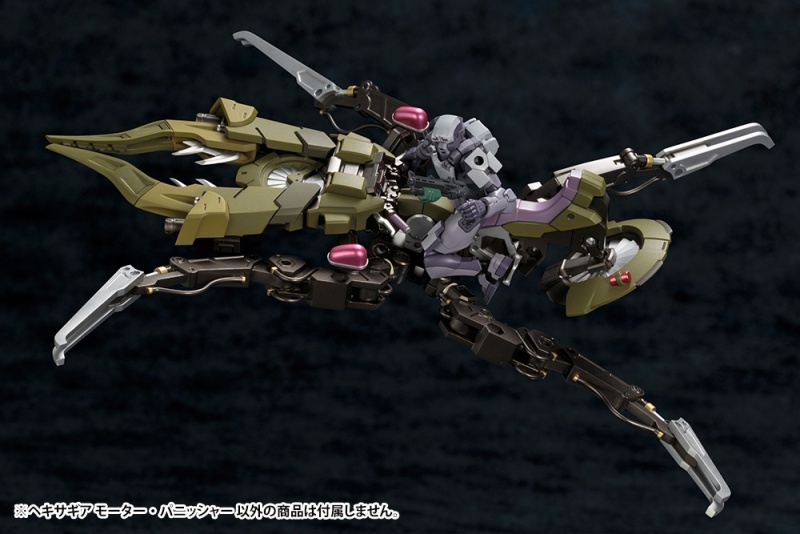 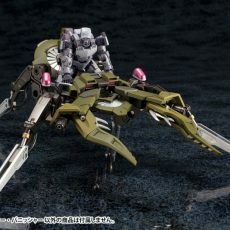 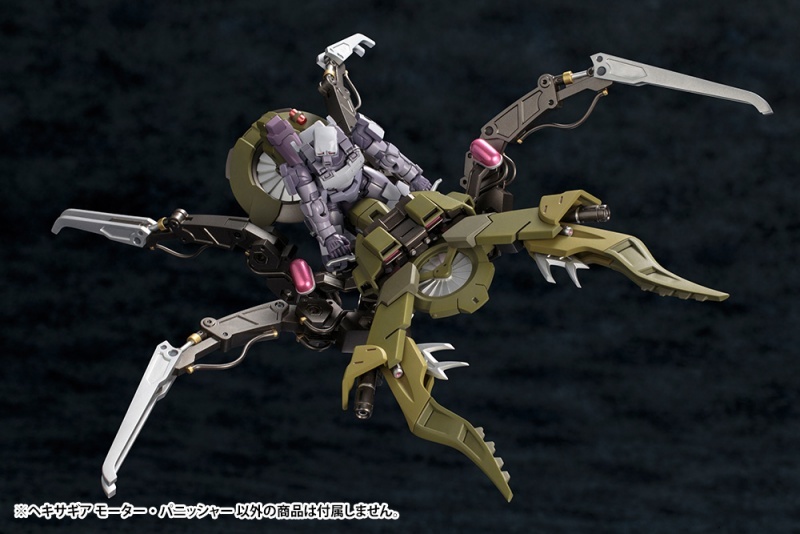 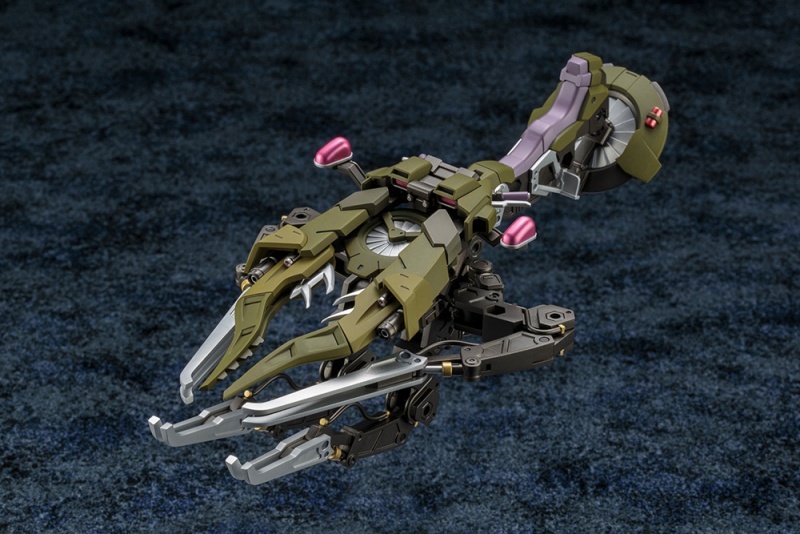 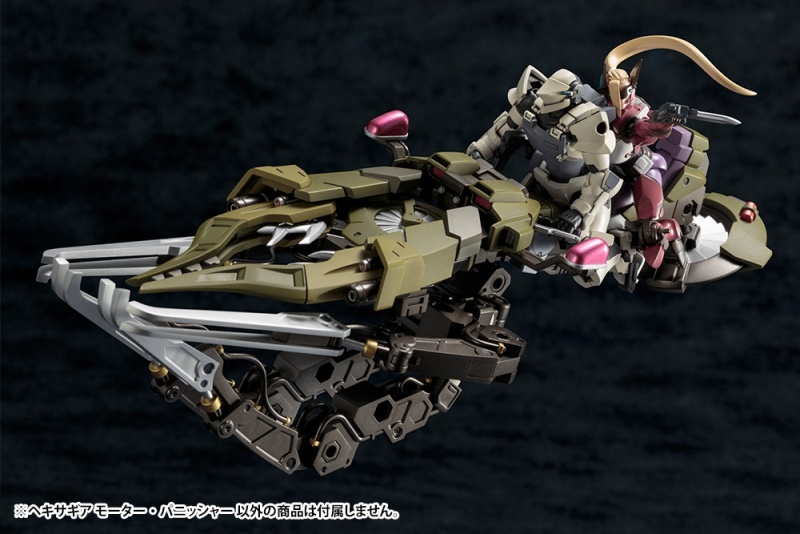 ・The model comes with an attachment for Flying Base R, allowing you to display it in aerial action scenes.